This was a get together event we designed for Karigars (the jewel makers). No doubt it was very much fun to work on this project. The event venue was Cheruthuruthy eco garden – Cheruthuruthy, Kerala. However this resort is a wonderful place to hangout and to do events. Morning we had opening session with the presence of Tanishq CEO. After the opening session of get together event we divided the entire crowd of 300 into 4 teams. We had an complete gaming session and specifically in the evening we had a big bash of entertainment. 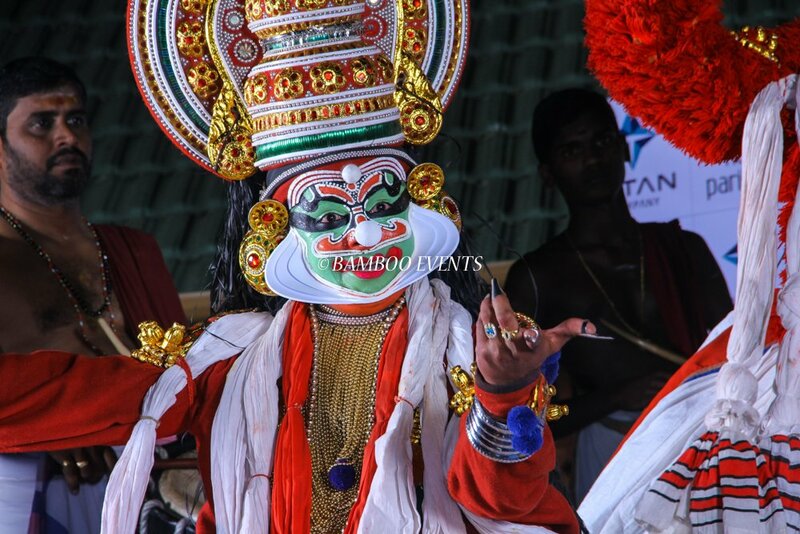 Moreover we had Kathakali, Mohiniyattam, Thiruvathira, and many more. In fact i had a very good experience even before I organise this event. There was one person in the team who really made an impact in me. Mr.Sengottaiyan, he was part of Tanishq organising team. I had to travel with him to the resort for planning. In the journey we spoke many things. Of course one advice that he gave about drinking has made some kind of impact in me. Today whenever i advice someone about not drinking, that right moment i think about him, because only his advice has given me the rights to advice others. The same way I learned few more things for Mr. Saravanan the team boss. First thing was ‘Being cool’. Despite having to many tensions he was cool enough handle things. Seriously I saw him like Mahendra Singh Dhoni. Next best was his planning and execution. Off late I have been working with many corporates and bosses. But a boss with perfect planning and cool head was rare to see. Anyways I like to thank Titan Tanishq team for giving me this opportunity. Enjoy the gallery guys.